Mobile pet grooming franchise owner, Ana Allison, relies on us to manage online marketing for her growing Aussie Pet Mobile franchise. Aussie Pet Mobile is the number one brand in mobile pet grooming worldwide. 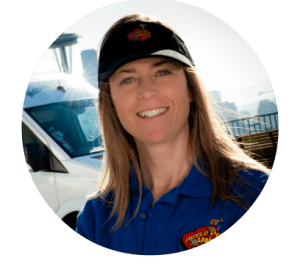 Ana has owned her franchise for seven years and currently has six luxury mobile pet grooming vans in the Puget Sound area in Washington state. We provide a variety of services to Ana’s business including online review & reputation management, Google Adwords advertising, email marketing, mobile text messaging, phone call tracking and website management. My business needed more positive reviews on Google and Facebook. We started using Reviewsof.us from bizmktg.com and got more positive reviews in three months than we had gotten in the previous three years. It really works! bizmktg.com has helped me grow my business. They take care of all the details of our online marketing, which let’s me focus on the results. bizmktg.com is transparent when it comes to online marketing. They speak to me in layman’s terms to communicate how we’re doing. They tell us what we need to know. They are always looking for other opportunities to make the most of your online advertising dollar.